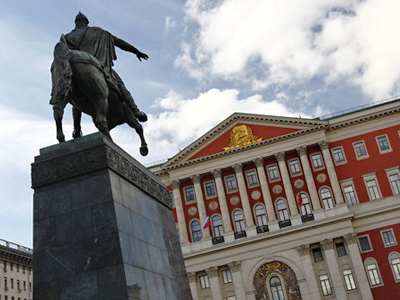 Moscow Mayor Sergey Sobyanin has agreed to head the capital’s branch of the ruling United Russia party. He made the announcement in his first interview since he took office in October last year. ­Commenting on his decision to become leader of United Russia in Moscow, he added that he is not ready to say whether he would also represent the party’s Moscow section during the forthcoming parliamentary elections. “This is an issue that needs further consideration,” he explained. At the same time, he was not equivocal when asked about his presidential ambitions. “Nothing of the kind,” Sobyanin stated. The two-hour-long interview with the Ekho Moskvy radio station seemed more like a news conference, with several journalists including the chief editor Aleksey Venediktov asking questions. They dealt with not only Moscow’s local problems but also some wider political issues. 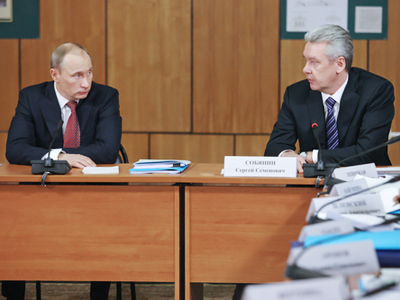 Sergey Sobyanin spoke out against a return to the system of direct elections of regional heads. The mayor said, “The system that allowed governors to be re-elected many times is a failure,” adding that it was not efficient whatsoever. Direct elections of governors were cancelled in 2003. Currently candidates for the post are proposed by the party that wins the regional election. If the party does not use this right, the proposal is then made by the president. It should be noted in this regard that the dismissed mayor, Yury Luzhkov, has always been a vocal supporter of direct elections. He stressed that politics should not be a priority for regional heads as they “have lots of other problems that need to be tackled”. However, he could not avoid talking about politics even when it comes to some specific Moscow issues. Journalist asked him about his stance on the opposition rallies held on Moscow's central Triumph Square, which had been repeatedly banned by the previous Moscow mayor. He already sanctioned several such rallies in support of the constitutional right for free assembly. Nonetheless, he authorized gatherings of a smaller amount of people rather than opposition groups. This was due to construction work currently underway at the square. He said that larger rallies would be possible, once the underground parking currently under construction is completed. 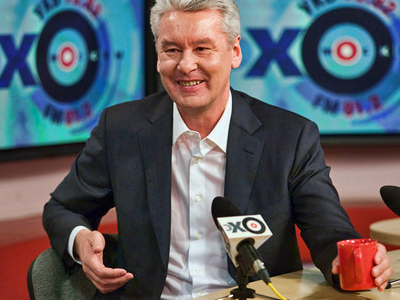 As for his viewpoint on press freedom, Sobyanin said that he does not believe it is possible to conceal information. 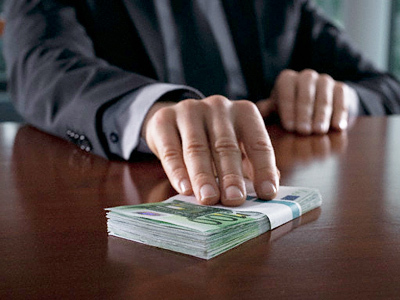 “Some say that there is no freedom of the press in Moscow and in Russia in general. I don’t agree with this. Your radio station is a good example, you openly speak about pressing problems,” he told journalists. The mayor also talked about December’s violent riots on Manege Square that were triggered by waves of nationalist slogans, ignited by the slaying of a football fan by individuals hailing from the North Caucasus. “The events on Manege Square have nothing to do with politics, it is an outbreak of hooliganism by teenagers and other individuals, who were behind them, it’s extremism,” he said. In this regard, he had to touch upon the highly sensitive issue of illegal immigration into the capital. Sobyanin said. In his opinion, the first thing to be done is to find out where exactly they live and work and register them as migrants. Then legal steps should be taken to oblige employers to pay them a decent salary and provide medical insurance for them. He said that imposing considerable fines for using illegal migrant workers could be a solution in this case. On many issues concerning the city’s development and its policies, Sobyanin has taken a different stance than his predecessor. This, however, is not the case regarding gay pride parades that were always given a ‘thumbs down’ by the former mayor. 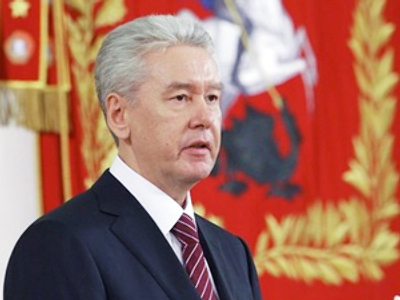 Sergey Sobyanin said he does not support such events.